Something slightly different this week. A few weeks ago I was asked to write a post about blogging by the Alliance of Independent Authors (ALLi), a membership organisation for writers who, for one reason another, have decided to eschew the traditional publishing route and go “indie”. Once upon a time, if you wanted to publish a book, it was necessary to persuade an agent to sell your book to a publisher, who would take it off your hands, edit it for you, and publish it on their terms. It involved a long chain of people, a good deal of luck (including knowing the right people), and a lot less control over the finished product. Nowadays, none of that’s necessary. Indie authors live in a world where they can control their own destiny as writers. We employ editors, graphic designers and book formatters to help knock our books into shape where necessary, and we ask beta readers to help us by reviewing our work before we publish, but we remain in full editorial control. It’s very liberating, and it fosters collaboration. Somebody once invited me into a climbing writers’ group on Facebook, which was a bit of an eye-opener. Not being a climber, I was a fish out of water there, but it was fascinating to watch. I knew climbing was a very competitive pastime with lots of testosterone floating around, but I expected climbing writers to be a bit more mature. I was wrong. They were constantly bickering, trying to outdo each other in an aggressively macho fashion. I felt sorry for the occasional woman climber who raised her head above the parapet with an alternative view of the world. By contrast the ALLi indie authors’ Facebook group is super-supportive. No question is too stupid, and there is always someone to help you out with advice. It’s a great community to be a part of, and I was very happy to write this post for their blog, which is about how I use my blog to complement my books. 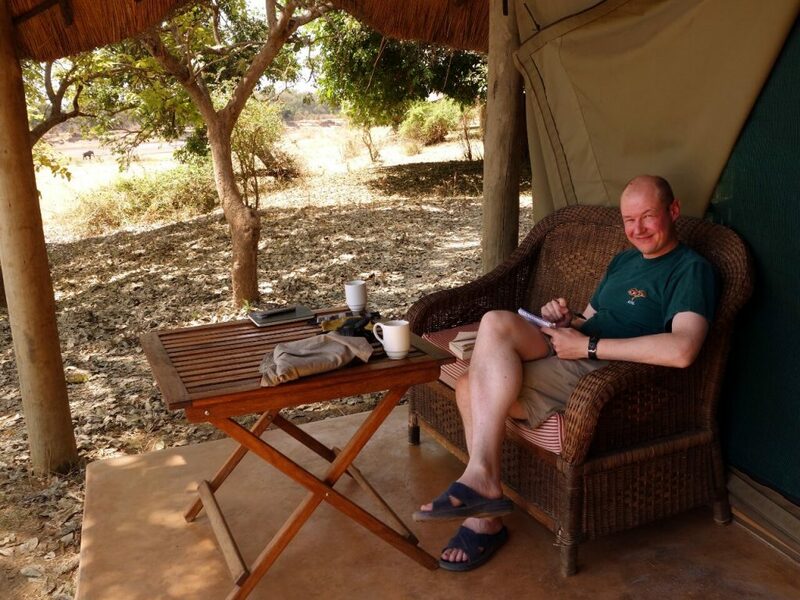 Although this post was originally written for other indie authors, I thought it would be of interest to some of you too, as it explains part of my journey as a writer, and my reasons for writing the blog. So here it is. I became an indie author almost by accident. I had a website that I used for posting my travel photos and diaries. When I bought my Kindle in 2011, I found out that any fool could upload an ebook to Amazon if they wanted. I reformatted all my diaries and did just that, selling them at $0.99 a pop. I broke most rules of publishing. Those early diaries were entirely self-edited, with plenty of clumsy sentences and typos. I never checked my stats, so for all I knew, only I had ever read them before. I had no expectations. Much to my surprise, people started buying them and posting four- and five-star reviews. More significantly, I had found a niche. Even now, most mountaineering books are about epic, impossibly dangerous climbs, or disasters. An ordinary guy, writing about easy, run-of-the-mill pootles in the mountains – the sort of thing you or I could do? This was something new. Traditional publishers wouldn’t touch these stories with the pick of an ice axe, but I had discovered that readers found them refreshing. I had a market. I’m much more professional now. 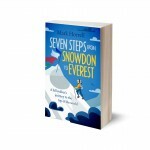 Last year I published my first “proper” book, Seven Steps from Snowdon to Everest – proper in the sense that it was professionally edited, and went through several drafts with beta readers. Unlike those diaries, I polished it thoroughly, until it shone like morning sunlight reflecting off a glacier. But otherwise it was very much in the style of those early works: an ordinary guy with no particular talent pursuing a ten-year dream to reach the summit of Everest. Now I write one post a week and publish it every Wednesday, without fail. Apart from the odd mountaineering trip (which I justify on the grounds of research) I have succeeded in posting something every week of my life for the last five years. The average post is 1500-2000 words in length. This feels like a good length to cover a topic in depth without taking too many liberties with my readers’ time. But the beauty of blog posts is that size doesn’t matter. If I feel I need 5000 words, I’ll write 5000 words. It’s my blog, so I can do what I like. The topics of my posts are more focused now, as well. 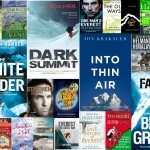 I cover mountaineering history, and review books and films on the subject. If I manage to get out into the mountains I’ll post a trip report when I return. 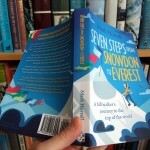 But by far my most popular posts are my opinion pieces about commercial mountaineering on Everest. This is an emotive subject with lots of misinformation circulating in the media, so it’s easy for me to write knowledgeably and challenge popular notions. A lot of the material on my blog finds its way into my books, and vice versa. I tried out many ideas for Seven Steps in blog posts, and re-purposed several posts for the book. Conversely, many of the 60,000 words I ended up chopping from the book became blog posts. By following the right people on Facebook and Twitter (and reading a lot) I have an endless supply of material for new blog posts. Many authors misunderstand Twitter, believing it to be a marketing platform. This can become a by-product, but only once you’ve understood that it’s true power is precisely the opposite. Twitter is all about who you follow. By following interesting and knowledgeable people in your niche, you keep up-to-date and become more of an expert in your topic area. I’ve found lots of interesting stuff to write about this way, and if I write about it with a new angle, people start listening to me as well. I frequently get asked to talk about my travels and writing, but I’m yet to accept any of these invitations. When they’re not writing most travel writers do a lot of public speaking. For some it’s their principal source of income, with book sales coming a distant second, but it’s never really appealed to me. Although I’m sure it would help to raise my profile, I’m of the belief that it’s not essential. An evening spent addressing an audience is an evening I could spend writing a blog post, honing my craft and acquiring readers. This post first appeared as How Starting a Blog Turned Me into a Self-Published Author on the Self Publishing Advice Center blog, run by the Alliance of Independent Authors (ALLi). 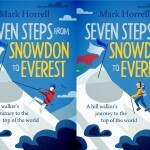 Mark, I for one enjoy reading your weekly blog article just as much as your excellent book ‘Seven Steps from Snowdon to Everest’. I hope you will continue doing what you seem to enjoy for many years to come. Thanks, Colin. That’s kind of you. I found you book really inspiring, as an average Joe, I find it really enjoyable reading about the normal bloke on the street do cool things and living their dreams!! You’ve inspire me to book my trip to Nepal next October and in turn, get back out on the trail more!! Yay! Glad you liked it, and delighted to hear it has inspired you to visit Nepal. Could it constitute an interesting alternative climbing route -avoiding the overcrowded and icefall prone, Nepalese ‘South Col route’- and ‘easy’ -Although a long and windy one!- route to the top of Mt Everest if one would start off the climb at the UTMOST LEFT UNDER PART OF Chomolungma? When I am well informed, then, there are metal ladders fixed at the several steps on the shoulder. However, the picture may deceive me! It looks like one continuous route from the top down to the ‘utmost left under part’ which “seems” to be located in the ‘vicinity’ of the ‘houses’ or tents seen. (3) ‘North Col basecamp’ at the ‘Rongbuk glacier’, next, continuing via the ‘Lho La’ to reach the ‘Nepalese Base camp site’ located at the base of the ‘Khumbu Icefall’. I do NOT know if one can ‘easily’ circumvent -by going sideways left o right- the also quite long “UP- & DOWN-part” which you notice before one enters the long slowly mounting shoulder (ridge). 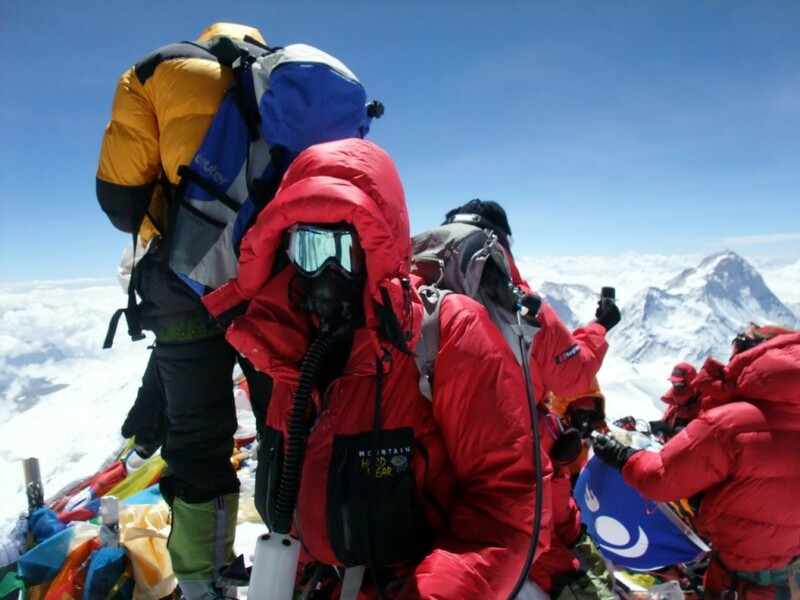 I presume that you lead up mountain climbers with a different skill set so that you can tailor-made the ascent-descent of Everest when the Tibetan Chinese & Nepalese authorities allow the climbs! As someone who has no knowledge of mountaineering/climbing/trekking, I really enjoyed reading the ‘Chomolungma Diaries.” It was incredibly informative and gave great insight into your experience of climbing Everest. Looking forward to reading your latest book. From UK but now living in New Zealand it certainly prompted me to have a look into some of the treks on my doorstep, any advice? New Zealand? Alas, I did live there as a 9 to 10-year-old boy when my father had jobs in Dunedin and Hamilton, but I wasn’t a big trekker in those days, and haven’t been back. 😉 There’s no shortage of good walking in New Zealand though, so I’m sure you’ll have no problem getting info elsewhere. Found this site through Alan Arnette’s. A refreshing detour. Thank you very much.